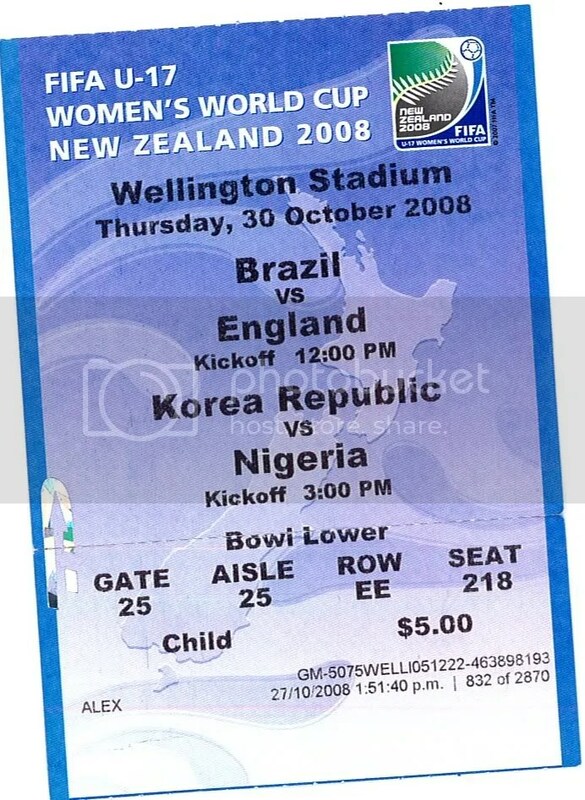 Today, my son is every excited because he is watching the game between Brazil and England under the FIFA u-17 Women’s World Cup in Westpac Stadium with his classmates at around 11am. He showed me his ticket to the game and told me that the FIFA will provided the transportation to the Stadium. He asked to double check all the necessary things that he should be bringing in the games such as packed lunch ,bottled water, sun hut and a rain coat(in case the weather is bad). According to Mr. Rob, his school teacher, the bus will take them to the Westpac Stadium by 11AM and back to School by 2:45pm. According to the official information, Fifa U-17 have 32 matches will be played at Auckland’s North Harbour Stadium,Hamilto’s Waikato Stadium ,Christchurch ‘s QEII park and Wellington Westpac Stadium which is 16 nations will compete.